A disturbing Chinese promotional ad for the June EU soccer tournament shows London being destroyed. The tournament took place in Warsaw and the Ukraine. A Chinese advertisement was recently released for the Euro 2012 soccer tournament which created some controversy. The song being sung is the Chinese version of a Russian-themed masterpiece talking about the Communist-Russian Jewish song "Farewell Slavianka"...It's all about rise, betrayal, and war. The advertisement also suggests that the terrorist attack will be broadcast live on Television. Right after the explosion, there is a quick flash with the words "NOW-TV" which implies that it will happen very soon as the commercial was aired recently during the Euro 2012 soccer tournament. Were the Chinese secret services leaked intelligence on the Olympics attacks? Did they leak this warning out during the Euro 2012 soccer tournament? One can't help but notice that every-time there is a ball kicked, there is a trail of fire blazing through it. It seems like the Israeli team is persevering and trying really hard to score. Finally, there is a free-kick shot at the end of the game. The ball blazes through the goal-keeper and swooshes into the net. The tie-breaker has just been scored and there is no need for overtime periods or penalty shots to secure victory. The numbers 1,3,6,5,2,4 represent the London Underground - Travel Card Zones 1-6. Perhaps it also reflects the order in which the bombs will strike the London underground. Another interesting thing to note is that when the string of consecutive natural numbers from 1to 6 are added together, they automatically equal 21 or a "Blackjack"! The Big Ben clock tower will be one of the main targets. In the animated commercial, we see that planes will fly over it dropping bombs on the stadium simultaneously whilst Big Ben is blown up by a bomb placed inside it. It is an important target not so much as in the expected casualties that will come from bombing that location, but more so in the symbolic value attached to it in the minds of the indigenous British public. The underground subway, land buses and bus terminals, and the train station at Stratford in particular are potential targets. Up to six bombs, possibly all of them nuclear will be placed underneath the different Travel Card zones. A seventh nuclear bomb or mega bomb will be detonated right underneath the stadium of the Olympic site. 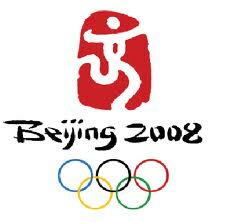 The Rockefeller Foundation's "Psychic Capabilities"
The logo for the 2008 Beijing Olympics also had pieces, when broken up into different interlocking and congruent regions, seemed to be a pictorial anagram for the word "Zion". Back then, the sign was subtle and there was very little evidence to suggest a major terrorist attack would strike Beijing. Now the logos are quite different and the word "ZION" becomes explicit. The "ZION" logo was designed by none other than Wolff Olins - a high-ranking Jewish Freemason. 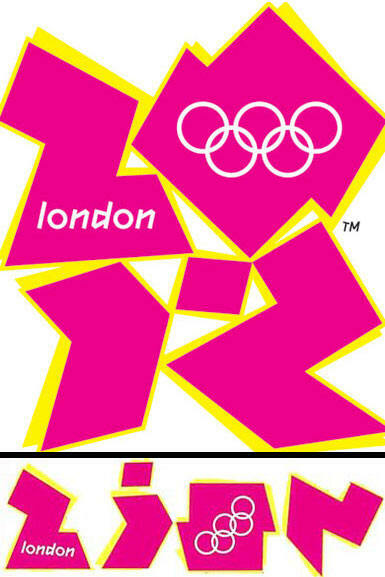 The Zion 2012 logo represents the "New Jerusalem" or "new Zion" that is going to constructed after the destruction of London. What possible reason is there to have the logo spell out "ZION" unless it stands for the New World Order, i.e. one world government tyranny?